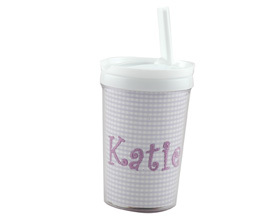 We offer three different types of "drinkware" personalized with embroiderable paper or fabric! 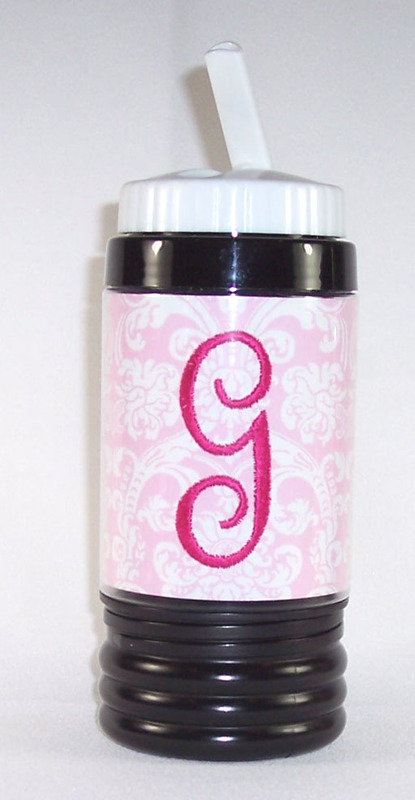 Each item can be personalized according to your preference. All that you have to do is select your favorite color/pattern of paper or fabric, then let us know what you want it to say. We'll do the rest! These are great for toddlers and kids on the go! These are great for any age! 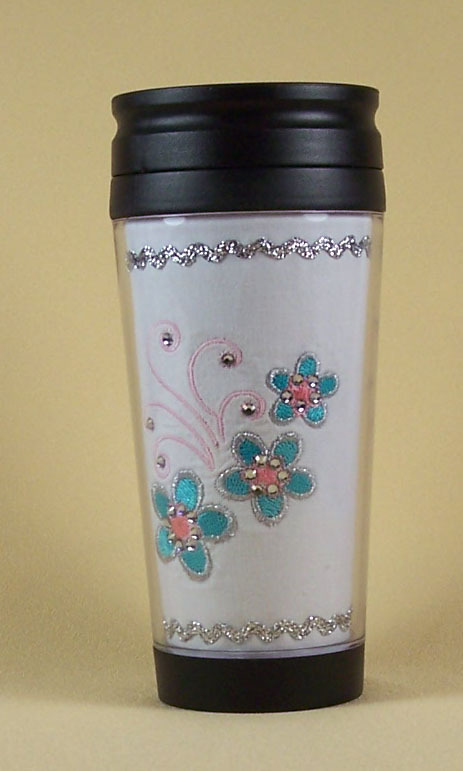 There is even a storage compartment in the bottom which is the perfect place to keep money or keys. This is a catalog sample. Stay tuned to see samples we've made for our customers!